I'm literally just through the door having spent the last few days with my colleague Amber on the south coast attending what was probably the world's largest gathering of search marketers - BrightonSEO. What started out seven years ago as a meet-up in an upstairs room of a pub for locally based SEO's, now attracts over 4000 digital marketers from agencies and brands in every corner of the UK and overseas. BrightonSEO is now very much a 'must attend' event for search marketing nerds like me. We get to release our inner geekiness of all things web marketing - Search Engine Optimisation (SEO), Google, websites, code, content, social media, PR, data, analytics - basically all the stuff we work hard on in our day jobs to help our clients grow their businesses online. 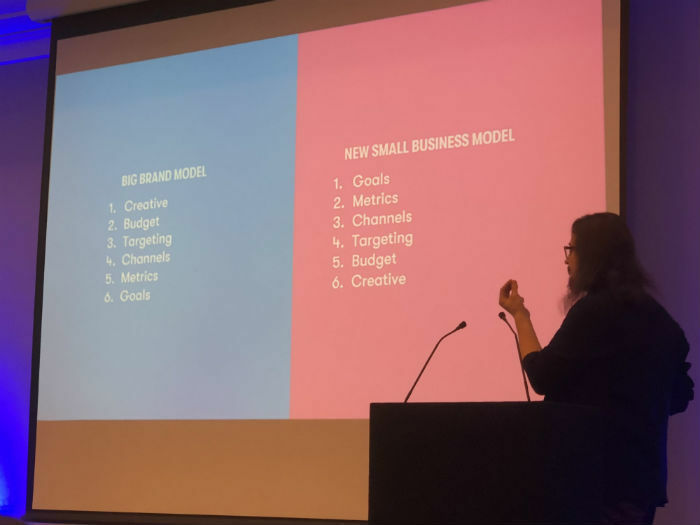 This year we travelled down to Brighton a day earlier to attend the new Paid Social Show, a fringe event dedicated to social media advertising. A full day of insight into getting the best out of your social media advertising campaigns, with fourteen speakers covering Facebook, Instagram, Twitter, Pinterest, Youtube and even Quora. The large brand model to online advertising is usually to jump in and create an expensive piece of content first (eg, a video advert) then put a huge amount of money behind it to promote it to as many people as possible, without establishing their specific goals for the campaign first. Whereas, the most effective way would be to establish your goals and KPI's first (defining what success looks like for the campaign), then work back from there by establishing your promotion channels (eg, Facebook, Instagram, Youtube etc) then creating your content to suit. 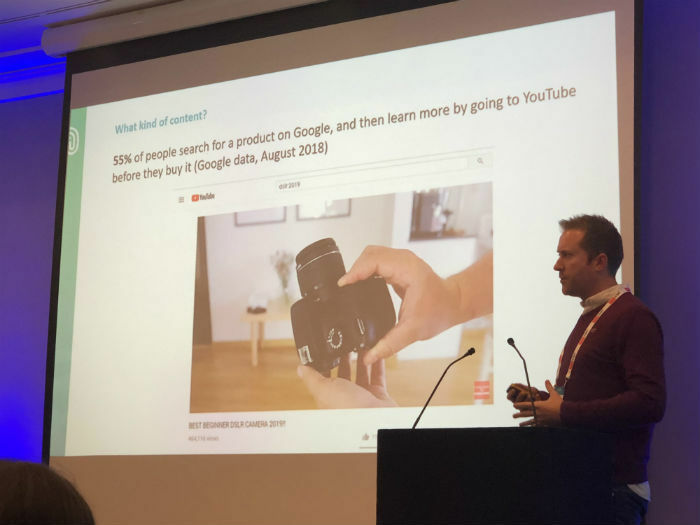 As it says, 55% of people search for a product on Google, then learn more by going to Youtube before they buy it. For example, I recently bought a power washer and snow foam set to wash my car - but before I eventually made my purchase, I must've watched at least half a dozen videos on Youtube demonstrating how a few different branded products worked and how effective they were at doing the job. Needless to say, I went on the purchase a product from one of the videos. The point here is that Youtube videos can be a great way for you to promote your products or services. And they appear in Goggle search results too! 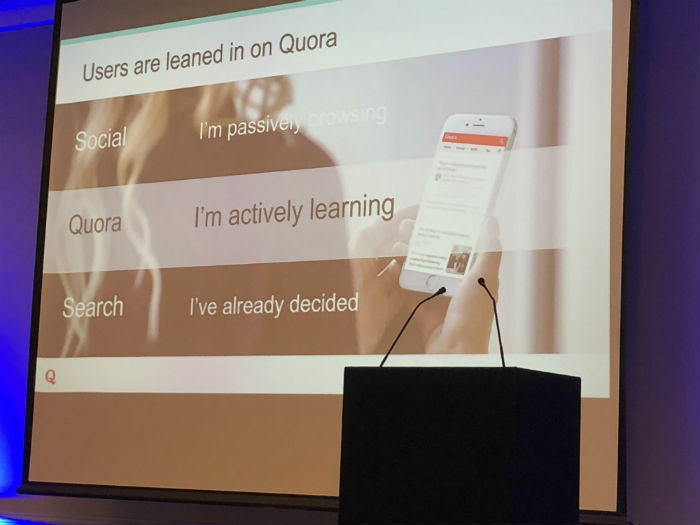 One of the more less obvious talks of the day was about the benefits of getting involved with Quora - the question-and-answer website where questions are asked and answered by its community of users. The speaker explained how companies can take advantage of upper funnel brand visibility by answering questions relevant to their products or services - in order to become the 'authority' in their sector. As you can see from the photo, Quora sits nicely between Social and Search channels. There are also advertising opportunities which allow you to promote your answers and displays them directly under the question above all the other answers. 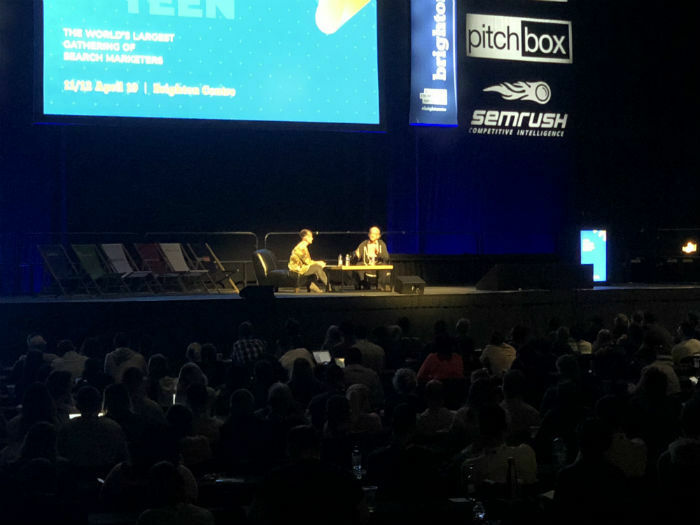 The second day, the main event and the reason why so many search marketers flock to Brighton every April; BrightonSEO. The Brighton Centre was packed to the rafters, with every auditorium and conference room bursting at the seams. When Google's own John Mueller is the keynote speaker, you know you're right at the very curve of this incredibly exciting industry. Of course it's impossible to attend every session so I had to choose carefully. I was particularly interested to pick up some new tips on pay-per-click (PPC) advertising, whilst also gaining insight into creating content and rolling out digital PR campaigns. And as an agency that supports several ecommerce brands, I was drawn to a series of talks that offered some good advice around improving website sales conversion rates. 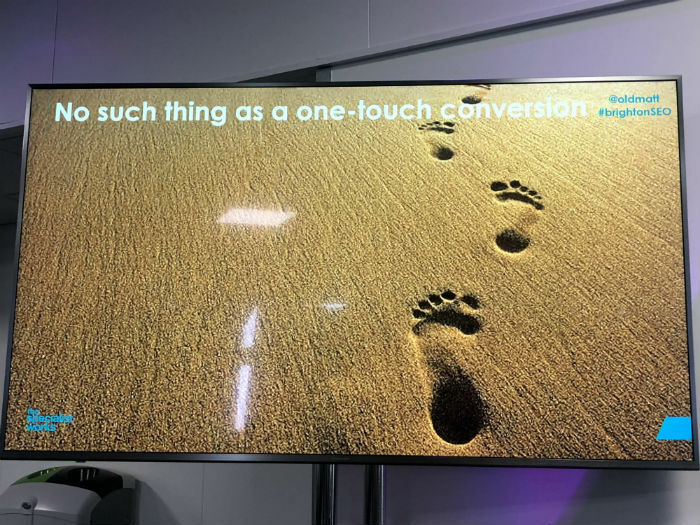 One of the most prominent messages that consistently ran throughout the day was this... there's no such thing as a one-touch conversion. In other words, the journey people take to make an online purchase or complete an action on a website isn't a single A-B route anymore... in fact there could be 20 or 30 different touch-points before someone actually places an order. At the end of the day, I was excited to watch a Q&A with Google's John Mueller. He answered questions around the recent bug whereby Google had accidentally de-indexed pages across the web, confirming this has now been fixed and companies should start to see their pages appearing back in search results soon. When asked (grilled) about Google ranking factors, his response was very clear: BUILD A BRAND AND GOOGLE WILL RANK YOUR CONTENT! 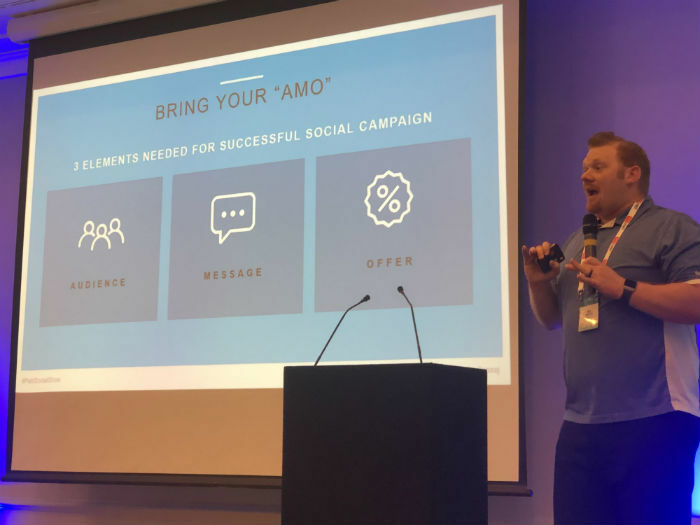 All in all, across the two days we came away with loads of new information, advice and practical tips to help us be better marketers for our clients - we can't wait to share them with you!